I recently overheard a conversation between two lifelong horsewomen. One of them was very outspoken. 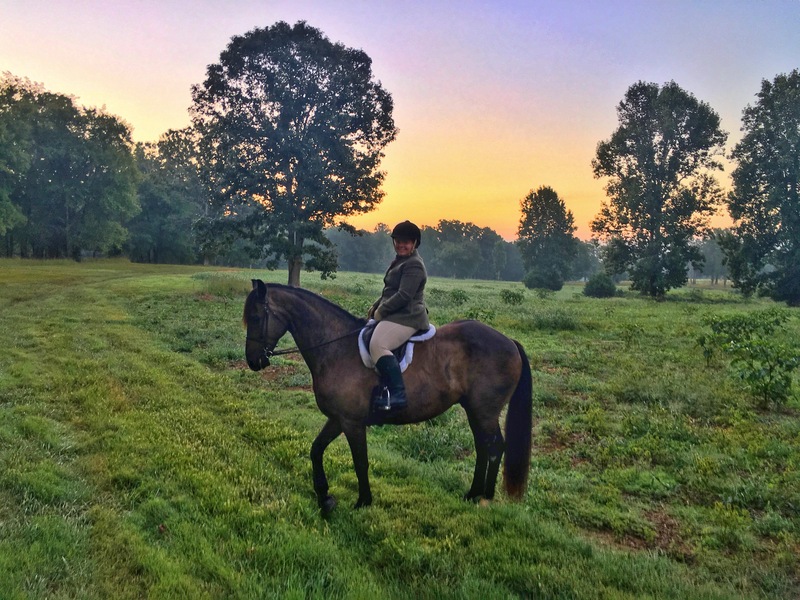 She proclaimed that she learned everything about horses that she needed to know from her mother, who was also a lifelong horsewoman. She then started criticizing Natural Horsemanship, and the Parellis in particular. 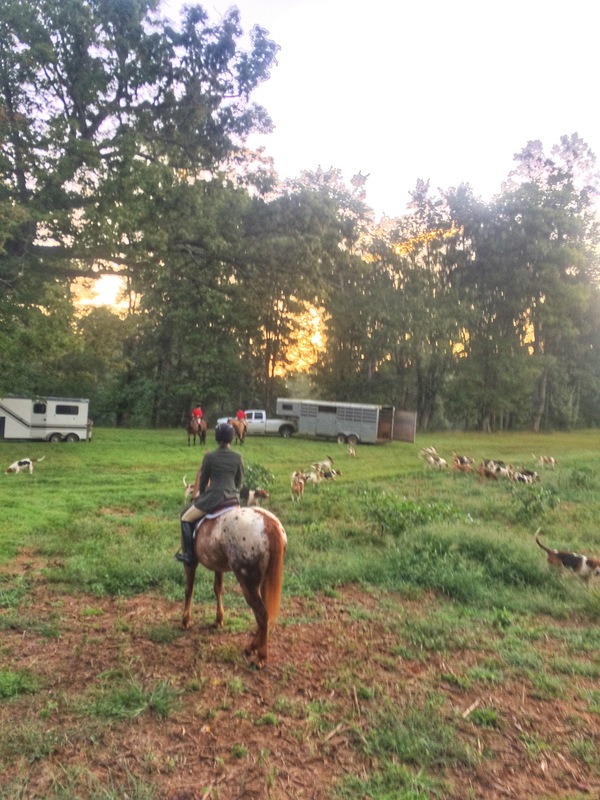 She mentioned an experience she had with a Parelli instructor who came to assist her with fixing her horse’s loading issues, which, I’ve noticed that 99.9% of the time, a horse’s loading issues are actually their human’s issues. 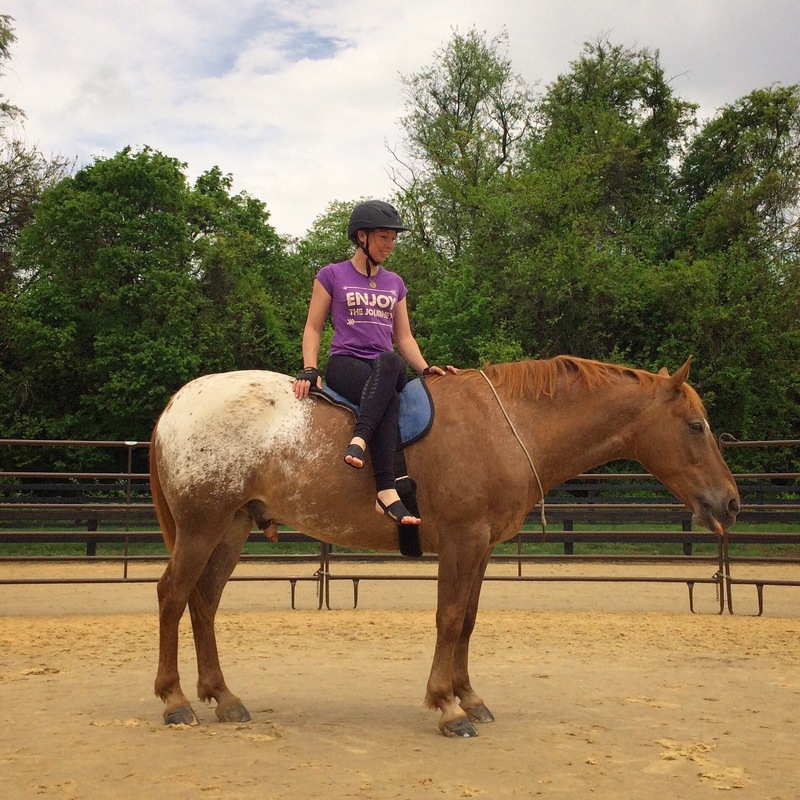 From the sounds of it, this Parelli instructor tried to explain to this woman that the goal was to get her horse to want to go onto the trailer. Unfortunately, the instructor wasn’t able to get through to this woman, who continued her story with, “If I want my horse to load at 6am to go hunting, and he doesn’t want to load, he is still damn well going to load!” She concluded by talking about how when the ace (a sedative) wears off when she hunts this horse, he starts trembling all over. I found this woman’s remarks deeply disturbing. 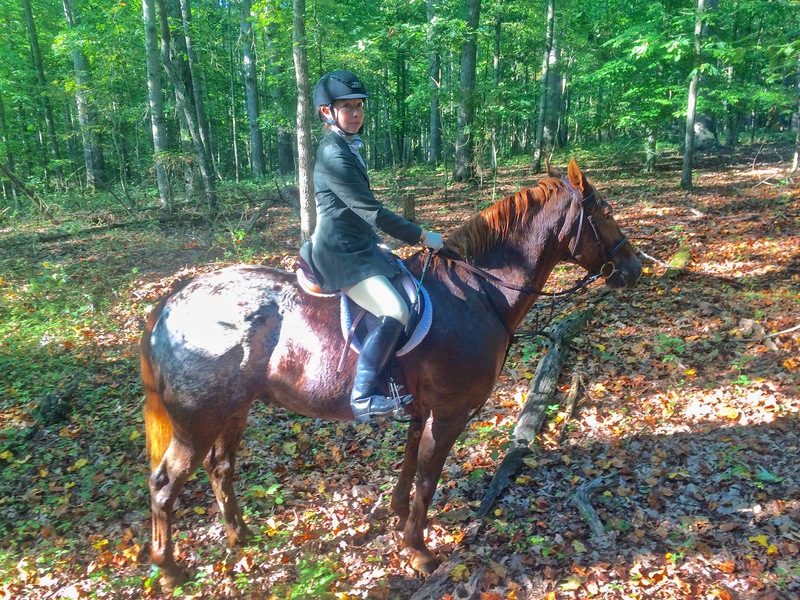 I, too, learned much of what I know about horses from my mom, a lifelong horsewoman, but the difference is I didn’t stop learning, and I didn’t close myself off to other methods and philosophies, and my mom encouraged me to keep learning. 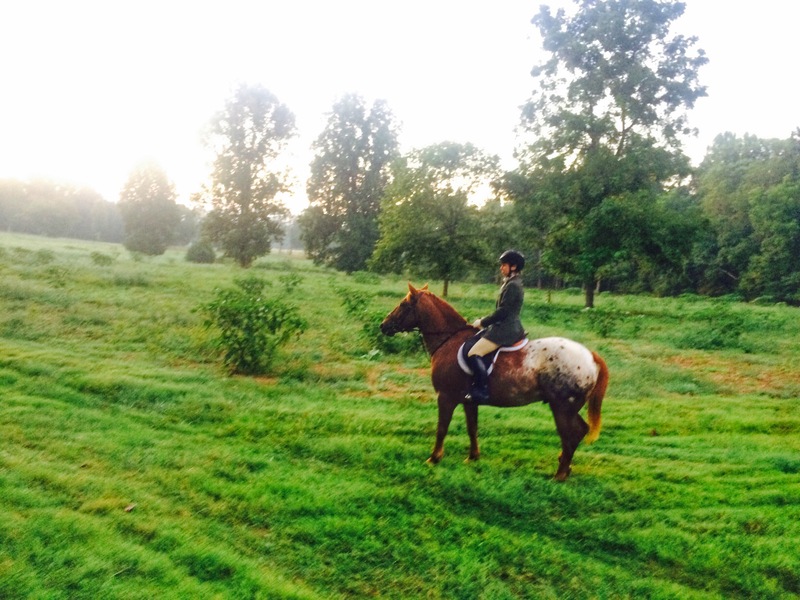 While I don’t agree with 100% of what the Parellis teach, I do like a lot of it because it works for me and my horses. 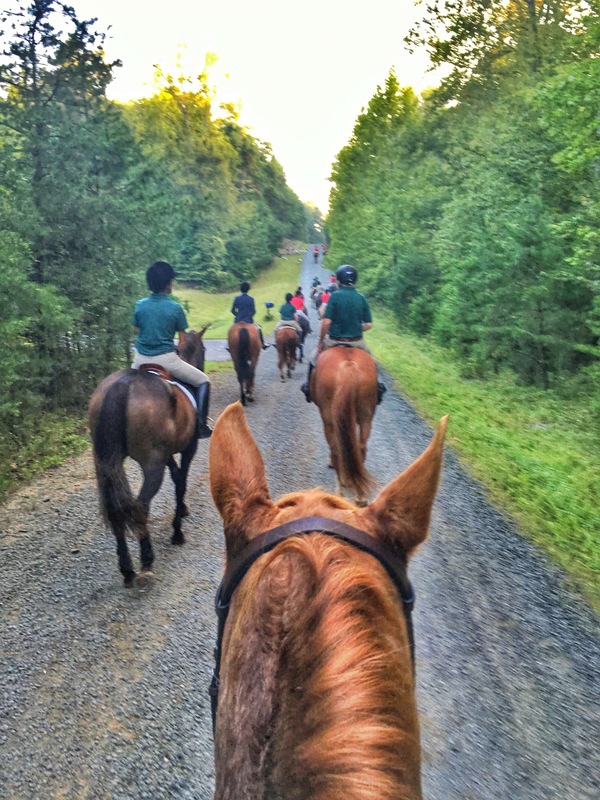 The best way to learn is to stay open to other training methods, try them out, and keep what works for you, discarding what doesn’t work and what doesn’t resonate with your heart and your horses’ spirits. Remember, too, that there will always be people who misunderstand and misuse certain training methods. We shouldn’t let these people give the entire method a bad name. I remember the first time I ever saw the Parellis. It was at an Equine Expo in Pennsylvania, and the Parellis and their horses came galloping into the arena, music blasting, and then they played with the horses. Yes, it was entertainment, but it was also damn good horsemanship, and it was abundantly obvious that the horses were having fun, too. What I like about Natural Horsemanship and the Parelli methods is that they recognize the horse as a sentient being. The horse’s desires and free will are a key part of these methods. The reason I found the woman’s remarks about her horse and her style of horsemanship so disturbing is because what she really is isn’t a horsewoman, but a bully. She fails to recognize, or perhaps just doesn’t care, that her horse has emotions, that he is a sentient being. Imagine drugging a person, shoving them onto a trailer, then making them run around the woods, pushing them to a point of trauma so severe that they tremble violently once the drugs wear off. This is assault. This is abuse. But somehow some people still think it’s totally fine to do to a horse. I should’ve spoken up. I should’ve found a way to try to open this woman’s mind so that maybe her horses wouldn’t have to be victims of her willful ignorance and abuse anymore, so that maybe she could discover there’s another way, a better way, to be a horsewoman. I was so upset at the time that I didn’t speak up because I was afraid I wouldn’t be able to do so in a diplomatic way, that I would just cause her to shut her mind even more tightly. But I’m speaking up now. I’m living by example through my relationship with Snowy. 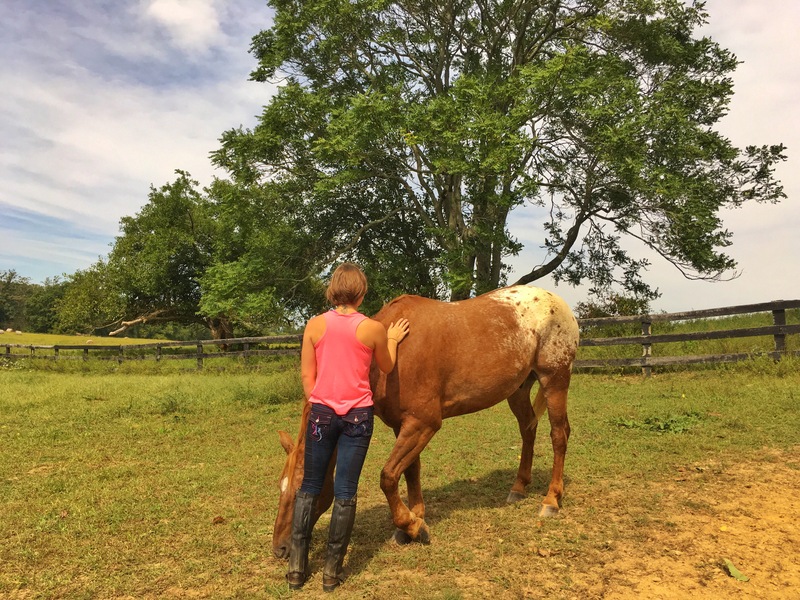 And maybe next time, I’ll find a way to speak up in the moment, to have an open dialogue, to show others the depth of connection you can have with your horses if you remain open, aware, loving, kind, patient, and humble. My day began at 3:30am. I arrived at the barn early to get Snowy ready for his first fox hunt! His white hindquarters acted as a beacon when I went to find Snowy in his field. The stars were out and there was a light mist on the land. I enjoyed a few peaceful moments with Snowy under the stars, then we headed to the barn, got ready, got into the trailer, and we were off. Lacy (my friend and the wonderful barn manager where I board Snowy) was hauling us and also going to hunt. She’s a pro, so I was thankful to have her guidance. I’ve hunted only a handful of times, and this was Snowy’s very first time. We were hunting with the Warrenton Hunt (for which my mom used to whip in! ), and we were the first to arrive, parking in a bucolic meadow, the sun still not above the horizon. Others arrived and then came the hounds. They bounded right toward me and Snowy as they were let out, and Snowy remained quite calm, observing them without getting worked up. Lacy and I remained in the back, allowing Snowy to figure things out. We went through fairytale-like woods and meadows, water crossings, and rolling hills. Snowy got some good exposure to the hounds, a couple good gallops, and had to learn to just stop and wait. The stopping and waiting was the hardest part for Snowy. With a little more practice, Snowy will be just fine and will learn to savor the stops, kind of like how yogis learn to savor downward dog as a resting pose. Snowy tried hard, and I’m so pleased with that. Snowy had his green moments, but breathing and circles (lots of circles) saved us and made it a positive experience overall—and so much fun! 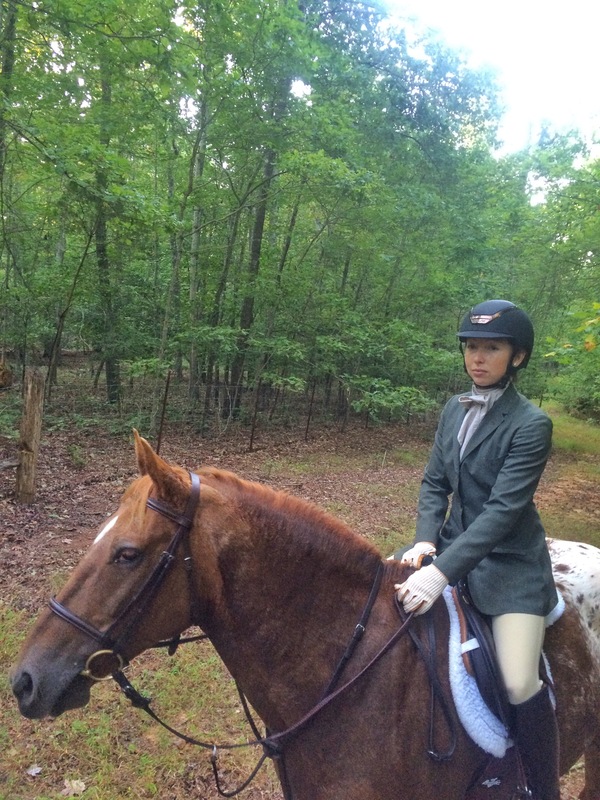 I’m so proud of Snowy and looking forward to our next hunt! My body totally knocked me on my bum today. 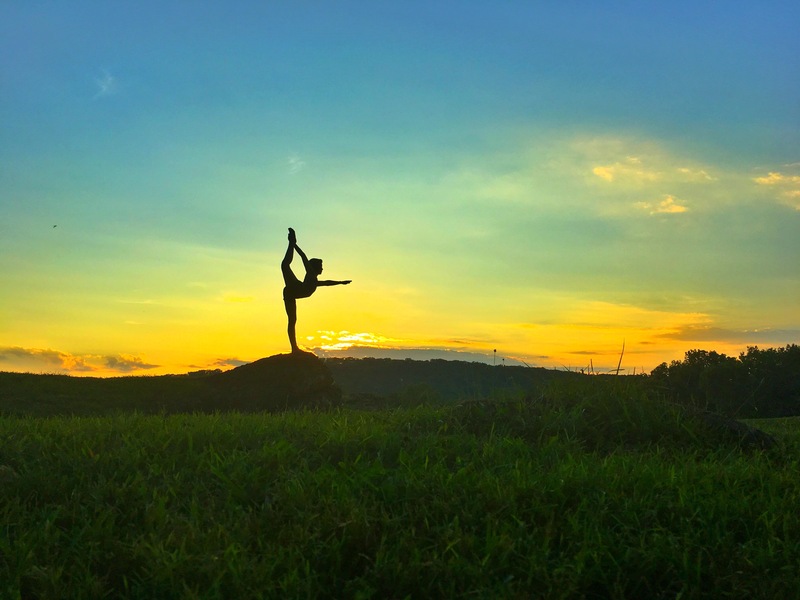 I had all kinds of plans, including hopefully taking some horse yoga photos at the new barn, but when the body says no, there’s no arguing with it. I’ve been unbelievably busy the past two weeks, and it finally caught up with me. So guess what I’m doing today–nothing. I totally ran out of prana, and my body became sick. I think our society glorifies being busy. Unfortunately, the art of resting, observing, and doing nothing has very much been lost. I’ll learn from this and give myself a break before my body breaks down next time. It’s difficult to change our lifestyles in this society to accommodate living a less busy life, but we must do everything we can to fight against the current that says being busy is a good thing. Horses are great teachers in the art of doing nothing. Let’s be more like them. This is for the sensitive ones out there. The ones who cry easily. The ones who feel others’ pain. The ones who have been called weak for being vulnerable. I’m here to tell you that your sensitivity, rather than being a weakness to work on, is a strength to be proud of. I’ve been told I’m too sensitive more times than I can count. The people who have told me this misunderstand me and, surely, any other sensitive beings in their lives. Unless you are sensitive yourself, it can be difficult to understand sensitive people (and animals). I cry easily and feel everything deeply, but this isn’t something I want to change. Feeling everything deeply isn’t easy and takes A LOT of strength to endure. The Achilles Heel of sensitive people is that we tend to take things personally. So I have done a lot of work on not taking things so personally and, even when they are personal, to understand that others’ words and actions are a reflection of them, not me. I’ve gone through some tough changes and lost friendships in the past few months, and the work I’ve done on taking things less personally has been a huge help in getting through those times. 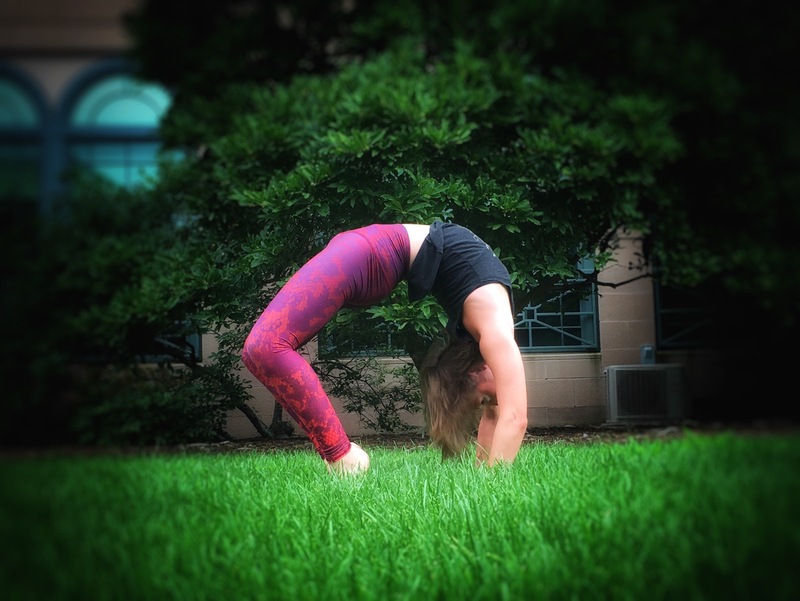 Cultivating self-awareness and committing to never-ending personal growth is essential to sensitive people surviving and thriving in this wild ride called life. What we sensitive ones must remember is that our sensitivity, no matter how many times we get criticized for it, is a strength we should never seek to be rid of. Sensitive people tend to be more introverted, not necessarily less social, but we need time to ourselves to rest and recharge. We sensitive ones are usually quiet and calm, and when we’re not calm, we have a damn good reason for it. Horses are sensitive creatures and there are, of course, some horses that are more sensitive than others. Horses’ generally sensitive nature enables them to live harmoniously in a herd and to help each other survive in times of danger. Horses’ sensitivity allows them to feel what their herd mates are feeling and what any other beings (predators and humans) around them are feeling. Did you know that if your blood pressure rises, so does your horse’s? 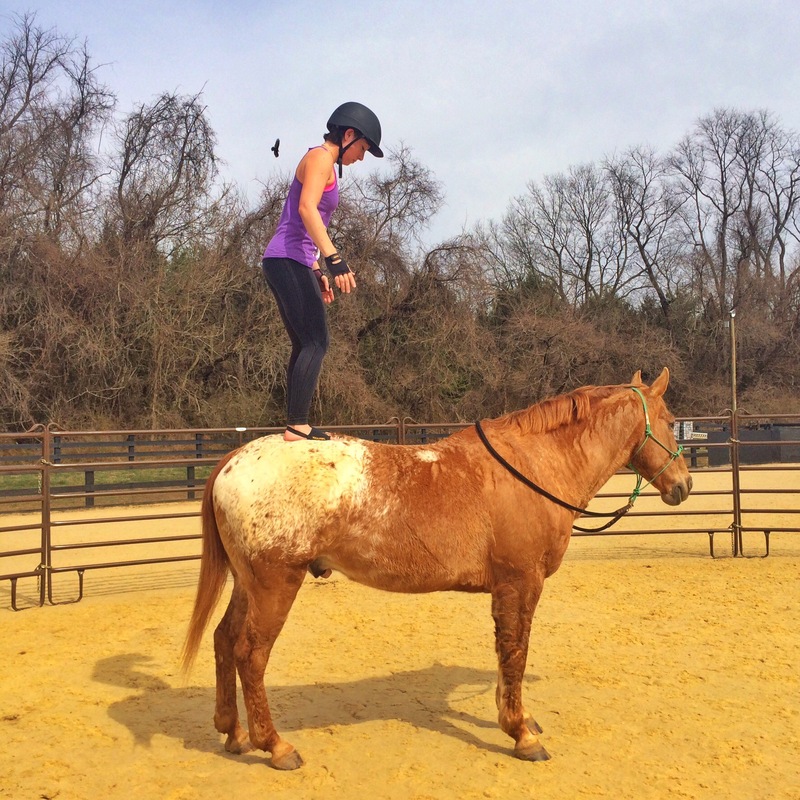 The thing is, we shouldn’t try to get our horses to “toughen up,” nor should anyone tell a sensitive person to do so. Our sensitivity gives us the capacity to be empathetic, nurturing, highly tuned into our environment, aware of others’ needs and wants, and, most of all, strong. Going out into the world is difficult for us some days, but we do it anyway because we must; however, on these days it’s important not to stuff our feelings down and lock them away in some remote cell within. Instead, we must acknowledge whatever we’re feeling, breathe, and say, “I’ll come back to you when the time is right.” And the right time must be soon, for any feelings we don’t deal with in a timely manner express themselves physically as sickness, pain, or disease. Sensitive ones, I feel you—literally, and I know you feel me, too. Thank you for being you. You are strong. The world needs you. So don’t ever stop being sensitive (as if it’s a choice, anyway), and embrace your sensitivity as the gift it is. Sometimes it’s hard to bear. I don’t enjoy attending most horse competitions anymore because there are so many unhappy horses and horses in pain and, not only do I recognize in their facial and bodily expressions the pain they’re in, I feel it, and I wince and struggle to hold back tears. I sometimes despair that I can’t do anything to help them. 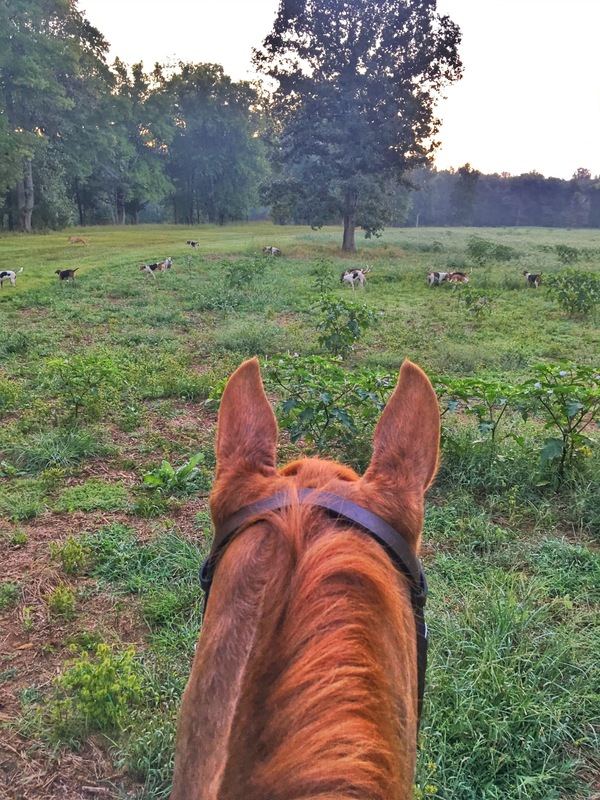 Then I remember that my sensitivity is a gift that enables me to have close bonds with horses, other animals, and nature, and to recognize their suffering and speak up for them when I can, whether it’s on this blog or elsewhere on print and social media. So if you haven’t already, dear sensitive ones, figure out how to use your sensitivity to help others, especially those without a voice. Because we feel so deeply, we don’t need words to understand another’s suffering. We just need the willingness and strength to be present with it and then to speak up and make a change. Today an instructor said something to me that no other instructor ever has—she told me to send my horse gratitude from my heart. 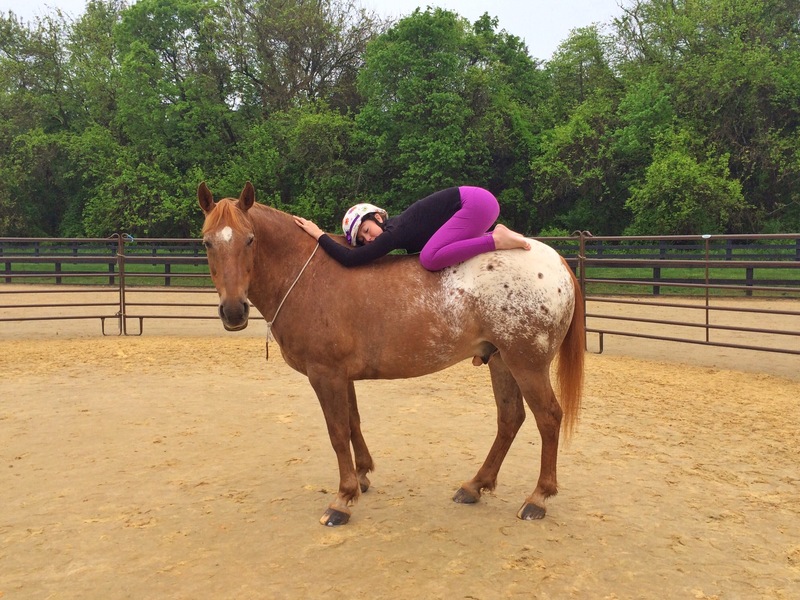 This riding instructor also happens to be an equine massage therapist, and she pointed out in my lesson that horses have bigger hearts than humans and much larger energy fields. She said that if we want our horses to continue to try for us, we must be grateful to them. Sending them gratitude comes naturally to me, for I’ve felt this way about horses for a very long time. It’s such a privilege to ride upon such magnificent, powerful, graceful, wise beings. 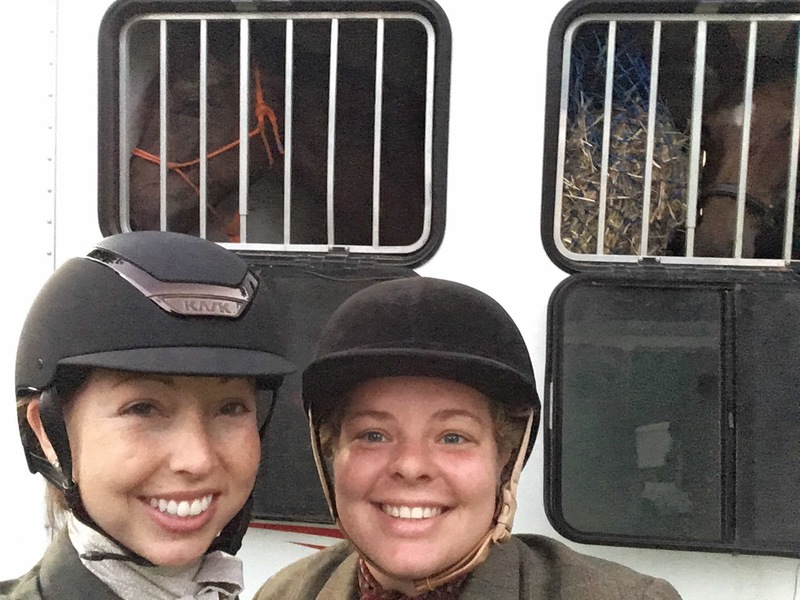 Hearing the reminder to send them gratitude certainly didn’t hurt, though, and it felt so inspiring to know there ARE other equestrians out there who feel this way. Horses are extremely emotionally intelligent. They are social and emotional creatures. How often do you pay attention to how your horse is feeling? Treat your horse like a partner instead of a tool or a recreational vehicle or a means to win ribbons and you’ll have a partnership, a relationship, instead of a constant struggle filled with frustration and misunderstanding. Horses want to be heard. Are you listening?